The time has come for us to announce the winners of our ‘The Talos Principle iOS Giveaway‘, but before we get to naming names please allow us to say thank you to everyone who participated and helped make it a success! Special thanks and congratulations go to two of the luckiest winners, Christopher Elder and Yves Yernaux, who will soon be enjoying The Talos Principle iOS on their brand new iPhones 8! The full list of winners is posted after the break. Project lead Mario Kotlar shares his thoughts on The Talos Principle VR launch – and you can’t stop him! Mario – a VR aficionado always ready to try out new accessories and technologies. We’ve sat down with Mario Kotlar, Project Lead on The Talos Principle VR, a VR aficionado that has preordered every headset imaginable (except for one) and perhaps the main culprit for Croteam’s involvement in VR. 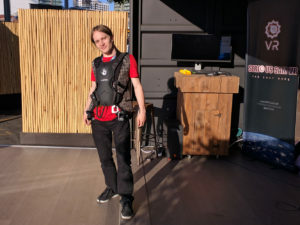 He’s been a vocal advocate of the VR tech on Reddit and forums but spends his days in the office silently working long hours just to create what he feels the VR space needs the most – great games. Although The Talos Principle VR is now available on Steam, Mario doesn’t look any less busy. Still, we felt there are some questions that only he could answer. Mario, how do you feel about The Talos Principle VR now that the game is finally out? I often see people saying how Talos is just the perfect game for VR. That it must have been designed with VR in mind, and such. One would think adapting it for VR would be a breeze. I wish I could show you how long our list of bugs and necessary new features was. 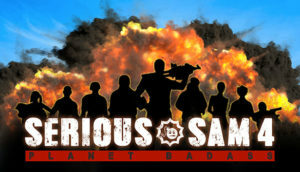 And this was after the engine already had fully functional VR support from a technical standpoint, which was worked on for over two years now, mostly throughout the development of Serious Sam The Last Hope. As many of you know, to celebrate the launch of The Talos Principle iOS we are giving away two iPhones 8, but that’s not all. 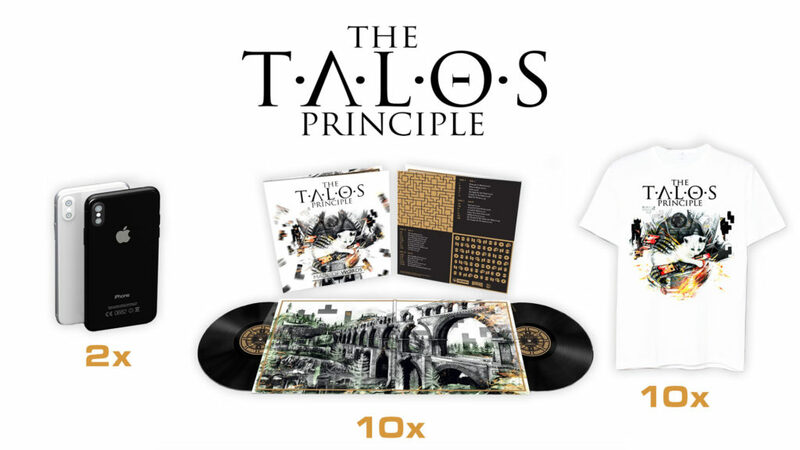 In our Gleam giveaway we are looking for new owners for 10 exclusive The Talos Principle Deluxe Edition soundtracks on vinyl, as well as 10 amazing T-Shirts designed by Tom J Manning. Secure your entry now! The winners will be announced on Monday, Oct 23, 2017. The Talos Principle VR Available NOW on Steam! We are glad to let you know that The Talos Principle has finally the reality it was always supposed to be a part of, as we have released the eagerly awaited virtual reality reimagining on Steam for HTC Vive and Oculus Rift. The Talos Principle VR is priced at $39.99 with automatic 25% off available for all existing owners of The Talos Principle. Along with the content available in the base game, the VR adaptation features the full Road to Gehenna expansion free of charge. 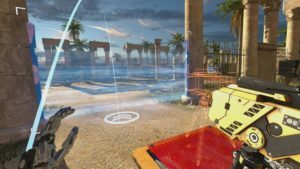 Redesigned from the ground up to provide virtual reality fans with the experience they have come to expect from Croteam, The Talos Principle VR introduces a fresh take to the contradictory world of ancient ruins and advanced technology. With roomscale support, four different movement presets and advanced VR controls, the game is perfectly suited for casual virtual reality gamers and enthusiasts alike. 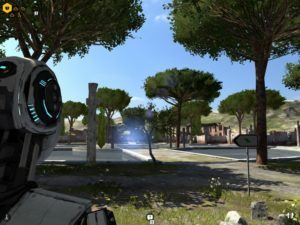 “The VR reimagining truly is a homecoming moment for The Talos Principle. We have always felt this game was a perfect fit for virtual reality, and it turned out to be true. I can’t wait for everyone to jump in and, hopefully, enjoy playing the game as much as we’ve enjoyed making it,” said Croteam’s TTPVR project lead and VR enthusiast Mario Kotlar. It’s a great day for puzzle lovers on iOS! Croteam’s award-winning philosophical puzzler The Talos Principle has landed on iOS via the App Store for $4.99. The launch is followed by the release of a beautiful limited edition two-disc vinyl soundtrack set by the composer extraordinaire Damjan Mravunac, available via the Laced Records website (US, Global). With the innovative tap-and-swipe control system that immediately feels natural – optional gamepad emulation and MFi gamepad supported – an engaging story and cleverly designed challenging puzzles The Talos Principle is a full-fledged game with over 20 hours of content and entertainment, be it a short challenge for the brain or an entire afternoon filled with exploration and excitement. To round the experience out – the combination of Metal API and the cutting-edge Serious Engine ensures jaw-dropping graphics and amazing performance on iOS devices (iPhone 5S and up) without compromise. Coinciding with the iOS launch of The Talos Principle is the teaming up Laced Records and Croteam to release Damjan Mravunac’s beautiful soundtrack on vinyl. The deluxe double album is a tranquil collection of 28 tracks drifting between ambient, melodic and dramatic moments, spread across two heavyweight 180g LPs and collected in a deluxe gatefold sleeve featuring original artwork designed by Tom J Manning. 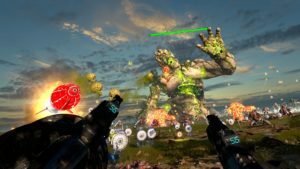 Serious Sam VR: The Last Hope was released just two weeks ago on Steam and Oculus store and quickly became one of the must-have VR titles. While everybody at Croteam VR is thrilled with the reception and continues to work on updates, Davor Hunski remembers there was a time in the development of the game that felt somewhat… less rewarding. Back in April, Croteam VR was making great progress. Planets Shaanti and Valtos were already released, each with four different levels and a unique boss fight, and the team just started the work on Arcadia Minor that would bring the total number of planets in the game to five. It was at Reboot Develop conference that the team suffered its greatest setback. As many times before, we made a thing with the folks from Devolver Digital. It was several months in the making, but it’s finally here. Don’t waste a moment – check a look at the “Behind the Schemes” video, and get to know the faces behind some of our most successful games!